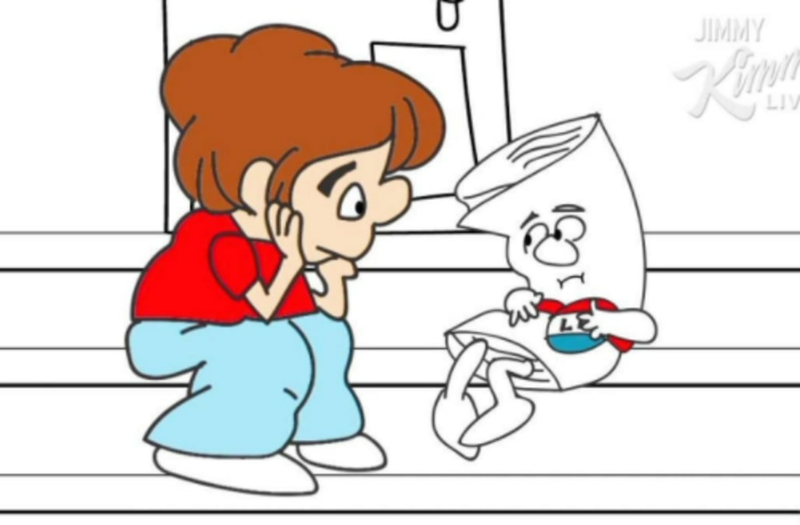 Schoolhouse Rock's iconic "I'm Just a Bill" video is getting a Donald Trump spinoff! Jimmy Kimmel debuted the Trump-inspired parody on his show Tuesday night titled "I'm Just a Lie." While the old song talked about how a bill becomes a law, Kimmel's version explains how the president makes things up. "We are now living in a world of alternative facts," Kimmel said. "The president makes statements almost every day that aren't necessarily based in truth." The hilarious video starts off with a little boy who takes a class field trip to the White House. He instantly notices someone on the White House steps: "I wonder who that sad looking fellow over there is." "Me? I'm a lie!" the cartoon says. To which the bill responds: "A lie -- like when you don't tell the truth." "I just popped out of the president's brain, and the very idea of me is completely insane."